Football is a man’s game — those with the strength and mental fortitude to compete and win each down, survive; those who do not, will die. In the case of Fotu Leiato, nobody has ever questioned his desire to finish every single play. Some people were a little put back when news broke that Mark Helfrich and staff went to a small town in Washington to recruit some small linebacker with Troy Polamalu’s type of hair and design. Sportsillustrated.com‘s Lindsay Schnell caught wind of the sensation that is Leiato in her latest article here. So, why is this story a big deal? Because Oregon has a history of developing players unlike any other program in College Football. It doesn’t matter whether they are too small or too big for their position. Helfrich and his staff, along with staff from years past have shown the ability to develop lesser talent into great players who go out and compete for wins in every game. Being 200 lbs out of high school, some people doubt that Leiato has the size to be an effective linebacker at the college level. I urge you to forget about his weight for a second, and take a look at a short Youtube segment taken from Leiato’s recruiting video originally posted to HUDL - the most watched HUDL recruiting video ever! It is very clear that Leiato has a knack for hitting people senseless. He might seem a little crazy on the field, but this type of energy and style of play will make defensive coordinator Don Pellum salivate. Current Ducks linebacker, Tyson Coleman, was recruited to Oregon at close to 200 lbs, but now weighs 235 lbs and plays a significant role on defense. 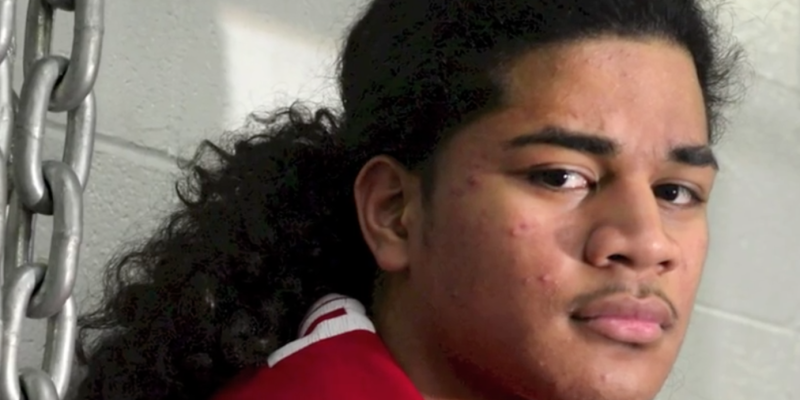 But hey, if football doesn’t work out for Leiato, he can always rely on his hair and take over for Polamalu in the funny Head & Shoulders commercials (but let’s hope he wreaks the havoc seen above in his recruiting video on the entire Pac-12).